Cablepunk – Gamer alias of Stephen Oravec. Gamer alias of Stephen Oravec. Hack and slash games aren’t something I’m normally interested in, but The Legend of Zelda-themed Hyrule Warriors: Definitive Edition from Koei Tecmo developers Omega Force and Team Ninja for Nintendo Switch was something I thought I’d try if for no other reason than to actually play a Zelda game as the rapier-wielding Princess Zelda. Nintendo Switch Online is here! This past Tuesday, September 18th, Nintendo Switch Online released around 11 pm Eastern. With it came a Nintendo Entertainment System emulator. 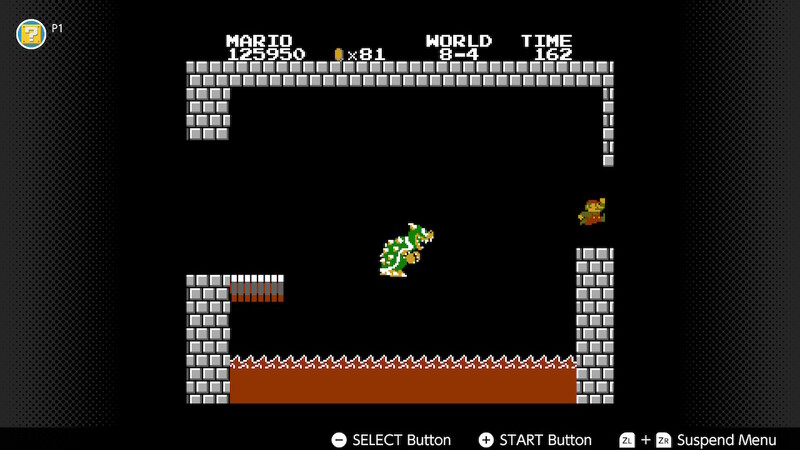 Twenty games are currently available with the launch, and I thought a run-through of Super Mario Bros. was in order. 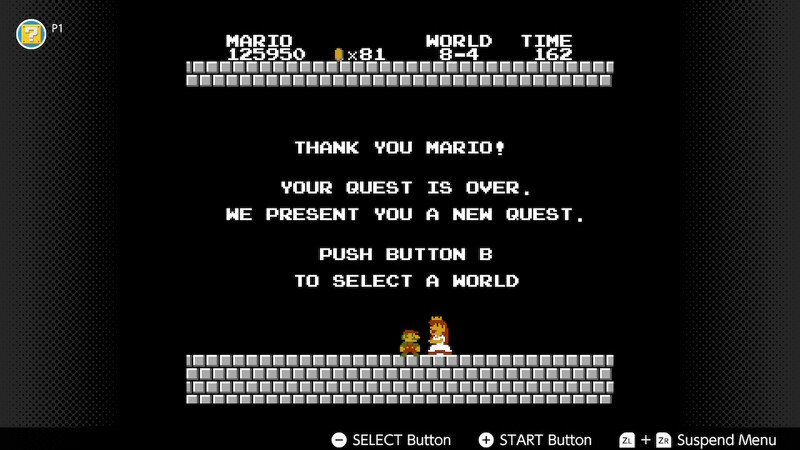 Via warp zones and with sweaty palms on the Pro Controller, I made quick work of Bowser’s assault on the Mushroom Kingdom. Hey, Princess. So, did you hear what Stormy Daniels said about Toad? Super Mario Bros. 2 is missing at launch, but Super Mario Bros. 3 is included, so that’s next up for me. It’s a game I haven’t played in forever, and I’m considering a warp whistle-free run since the emulator conveniently includes save point creation. Look for screenshots from that run in the near future! Posted on September 21, 2018 Categories Super Mario, Super Mario Bros.Tags Bowser, Nintendo, Nintendo Switch, Princess Toadstool, Super Mario, Super Mario Bros. I am the Blade of the Light! With the Battle for Azeroth expansion rapidly approaching in Blizzard’s World of Warcraft, I’ve been working on tying up some loose ends on my Dwarf Paladin. Continue reading I am the Blade of the Light! July Community Day with Squirtle! Yesterday was the Pokémon GO Community Day for July, and it was the first one in which I participated. With my phone fully charged, I headed down to the pond at the local park to catch Squirtle, lots and lots of Squirtle. Continue reading July Community Day with Squirtle! Ashbringer has absorbed the power within Sargeras’ sword. Its artifact power continues to climb with seemingly no end in sight. Sargeras has been imprisoned by the Pantheon, the Burning Crusade is at long last over, but Azeroth bleeds…. This morning in Tokyo, Japan, the Pokémon 2018 Video Game Press Conference was held. Pokémon: Let’s Go, Pikachu! and Pokémon: Let’s Go, Eevee! were announced for Nintendo Switch. To tide us over until those titles are released this November, Pokémon Quest was also revealed and released on the Nintendo Switch eShop as a free to start title.